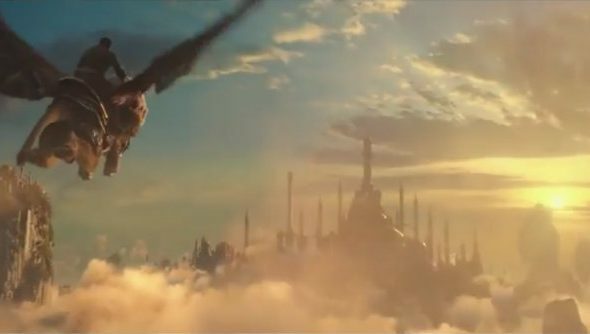 There’s a new Warcraft movie trailer out and it’s basically a bunch of fight scenes stitched together and backed with some dodgy music that thirteen-year-olds probably love. Which titles from our list of best PC games would you like to see get the Hollywood treatment? You know the setup for the MMO-turned-movie by now: the orcs and the humans need to team up to take down an incoming threat, but they just can’t stop hitting each other for five minutes. The new trailer doesn’t really reveal much new, though there’s a glimpse at the beginnings of a cross-species relationship, which is nice. Is this going to be Romeo and Juliet via Lord of the Rings? Other than that, there’s mainly just loads of fighting, and it’s all backed by some dubstep-style bwarps. Yes, bwarps. What do you lot reckon to the new trailer – Phwoarcraft, or Borecraft?